Another raid on Terroirs last night. I love this place! We did some raiding – a slightly disappointing bottle of Ganevat (occasionally this happens) was followed by a Souhaut Syrah and a Foillard Fleurie. And then they managed to find a bottle of Métras for us, even though it was sold out. It was singing: yes, this is a big, ripe vintage (2015), but some people handled the heat better than others. I generally avoid 2015s (still, I see some people citing this as a great Beaujolais vintage: it wasn’t! ), but this was lovely. 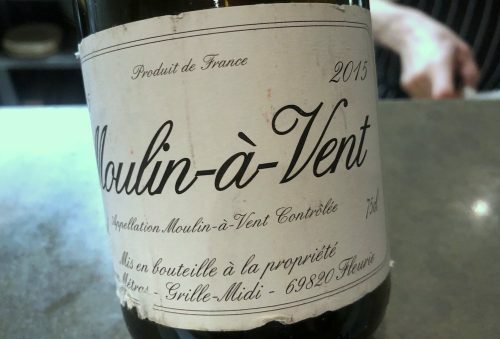 Métras is probably the most celebrated of all Beaujolais producers at the moment.